Clash Royale Sneak Peek: Tornado CONFIRMED! 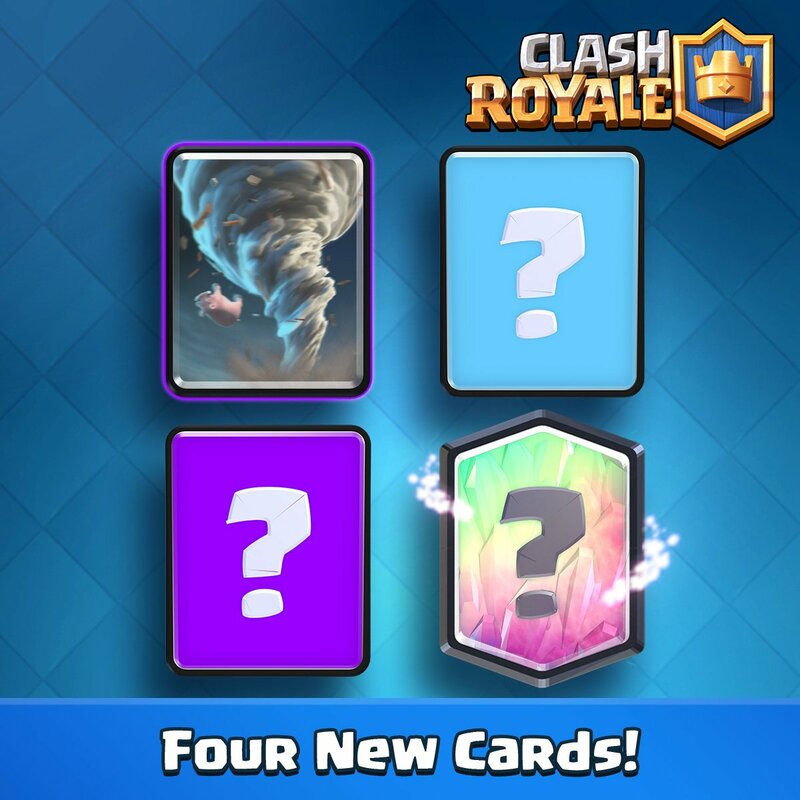 In today’s Clash Royale sneak peek for the November 2016 update, the tornado was confirmed as the first new card in the update. The leak from yesterday so far seems to be correct, since the rarities and number of the cards are correct. Here’s the picture the Clash Royale team sent out. 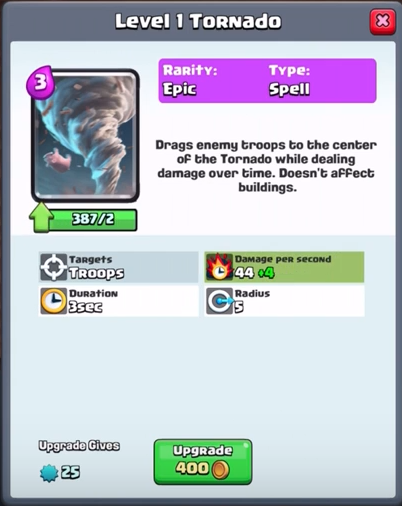 So as the leak says, the tornado, which is the first card to be officially announced, is an epic card and 3 elixir. The leak also said that there will be 1 common, another epic, and a legendary card added. We will have to see if this leak is correct when it comes time to unveil the other new cards for the November update. Like the last update, this update will also released one card every 2 weeks, starting with the tornado, then the common, epic, and legendary card. 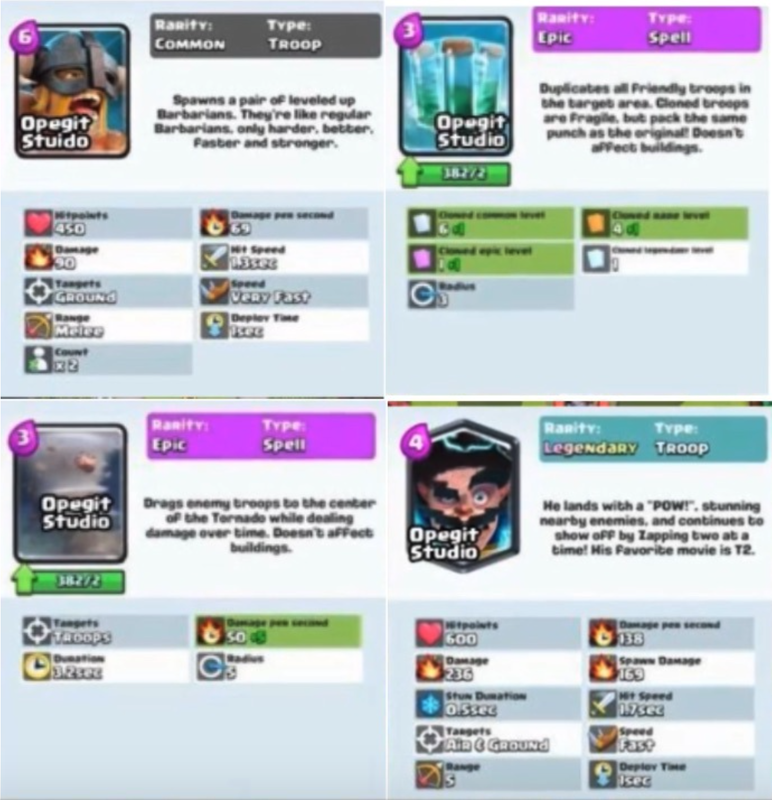 Alright so now that we know that the tornado card will be coming to Clash Royale, what exactly is it and what are its stats? A level 1 tornado won’t do a lot of damage, but it think that its real value is its ability to move troops to the center of it. I’m pretty sure that it will drag all troops to the center, even big ones like the P.E.K.K.A. The radius is quite big at 5, so you will be able to capture quite a lot of troops in it. This update will be dropping on November 1st, along with the balance changes. Come back soon for more sneak peek and November update news from Clash for Dummies! Pingback: Clash Royale Sneak Peek: Tornado CONFIRMED! | Clash of Clans Guide, Strategies, Tricks and More!